Fortune: Have Activist Investors Finally Lost Their Luster? Trust is the foundation of American capitalism. Many activist investors have damaged that faith. Through 2014 and 2015, the activist investor movement was picking up steam. Corporate boards were running for cover or capitulating to activist demands before they got into proxy fights. The media heaped adulation on activist investors. Bill Ackman graced the cover of Forbes with the moniker “Baby Buffett.” Nelson Peltz headlined big conferences. CNBC held off its commercial breaks when Carl Icahn called in. In recent weeks, however, the activist movement appears to have peaked. Investors who entrust their money to activists do so for one simple reason: they anticipate higher returns than they obtain from index funds. After all, why would they pay activists a flat 2% management fee plus 20% on their gains, when they can invest in Vanguard index funds for only 0.15%? The performance of activist funds in 2015 and January 2016 was anything but impressive. During 2015, activist targeted stocks declined 8%, compared to gains of 1.4% for the S&P 500. And in January, activist funds declined an additional 6.1%. These results are causing investors to reconsider investing in activists and voting with them in proxy fights. During 2014 and 2015, the prominence of activists exploded. More than 200 American companies were publicly subjected to demands from activist investors in the first half of 2015 and approximately two-thirds of those demands were successful. The win rate of activists battling for a seat on a company’s board rose from 52% in 2012 to 73% in 2014. And within 18 months after an activist investor joined their board, 44% of companies replaced their CEOs. Activists posted strong returns from 2012 to 2014, buoyed by the S&P’s post-recession performance. Activist funds gained 9.3% in 2012, 19.2% in 2013, and 8.5% in 2014, compared to -0.5%, 15.8%, and 2.1 % for the S&P 500 Index. Activist coffers swelled from $23 billion in 2002 to $166 billion in 2014. Some activists like Icahn have even taken relatively inactive positions in well-managed, large companies like General Electric, a move that makes “activist investing” sound more like stock picking with very high fees than a balanced investment strategy. Activists recorded some big wins in the last two years in struggles with major companies like DuPont, Dow, Procter & Gamble, eBay, and Microsoft. Their influence grew as they toppled leading CEOs like Microsoft’s Steve Ballmer and P&G’s Bob McDonald. Icahn was even able to pressure mighty Apple to let go of part of its enormous cash hoard by buying back $140 billion of its stock. 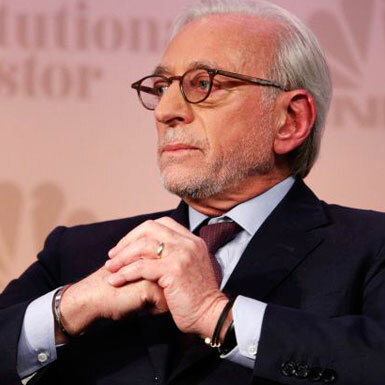 At the end of 2015, activist Nelson Peltz recorded one of his biggest “wins,” just six months after he lost a hard-fought proxy contest to DuPont CEO Ellen Kullman. After DuPont DD -1.04% beat the market by 100% during Kullman’s first six years, the company reported two weak quarters, largely on account of factors that affected all commodity producers: China’s slump, collapsing commodity prices, weak agricultural markets, and negative currency comparisons. The company’s stock price dropped nearly 30%, and Peltz’s team renewed its pressure on DuPont’s board. Ed Breen, who joined DuPont’s board in January, and the company’s other board members relented. Kullman resigned under pressure, and Breen became DuPont’s new CEO. During his first month on the job, Breen accepted Dow CEO Andrew Liveris’ proposal to merge DuPont with Dow and then split the combined business into three smaller companies. They were following the activist’s script to near perfection. Liveris himself was under pressure from another activist investor, Dan Loeb’s Third Point. Just a year before, Liveris agreed with Loeb to add four new board members in exchange for a standstill in the activist pressure. Liveris and Breen announced their plan just two days before that détente was set to expire. Loeb was furious that he was not consulted about the deal, and he called for Liveris’ immediate resignation. Anticipating short-term results, DuPont and Dow DOW -0.88% stocks both jumped 12% with the announcement. But the euphoria didn’t last. Investors questioned the validity of the merger and subsequent three-way breakup, causing both stocks to drop 22% since then, more than 10% below their pre-merger levels. After their complex restructuring is completed, the three baby DuPont-Dows will struggle to keep up with global giants like Germany’s BASF and China’s Sinopec. And DuPont is closing its corporate research center that invented nylon, Teflon, and solar cells in favor of near-term product development, all while BASF invests €1.88 billion annually in R&D. By the end of 2015, the lessons learned from DuPont-Dow were causing leading law firms to recommend settlement with activist investors rather than risk costly proxy fights. AIG AIG -1.42% was the most recent to react, adding board members from Carl Icahn’s team and investor John Paulson himself, in order to avoid a break-up following a losing quarter. The veneer of invincibility is wearing off for activists. “Investing King” Carl Icahn has lost money on bets, as Hertz HTZ 0.82% and Chesapeake Energy’s CHK 5.32% shareholder return fell 43% and 39%, respectively, since his interventions. Bill Ackman’s firm, Pershing Square Holdings, reported a 20.5% dip in 2015, its worst performance in 11 years, and has slid an additional 18% in early 2016. Activists are currently facing the true test for any investor in a volatile, even declining, market: can they create value for investors while avoiding big pitfalls? In spite of their billionaire status, outsize egos, and media images, activists do not have investing superpowers. Instead, they have taken advantage of a simple strategy: buying volatile stocks in a rising bull market. Activists learned to avoid troubled companies and instead invested in high performers like PepsiCo, eBay, Apple, and Allergan. Then they focus on short-term financial “fixes” such as stock buybacks or splitting a company. That’s what happened to Kraft when Peltz pressured CEO Irene Rosenfeld to break the global company into a North American company retaining the name Kraft and an international company named Mondelez MDLZ 0.38% , based in Chicago and run by Rosenfeld. The financial engineering created short-term value for shareholders, but Mondelez has since been in a period of malaise. Meanwhile, Kraft collapsed due to a lack of leadership, fled into the arms of Brazilian investment firm 3G, and was merged into Heinz. Unsurprisingly, the Brazilians are looking to cut costs at Kraft by 40%, as its revenues fall sharply. Ackman has recently joined the fray, recommending Mondelez also be merged into Kraft-Heinz. Activists often act like they understand their target’s business better than its managers, charging in with MBA-like presentations. While a company’s stock price frequently rises when an activist buys minor fractions of its stock, their recommended moves often fail to create sustainable shareholder value. By this time, however, it’s hard to put a company back on course. Activist investors are outsiders who are focused too much on stock analysis and too little on understanding the strategy and culture of organizations. Meanwhile, they often hurt company performance by forcing the abandonment of investments in long-term initiatives like research and development (R&D) and capital expenditures. For all their brilliance, they are in no position to make deep qualitative judgments about a company’s R&D pipeline, quality of innovation, and cultures. Activist investors frequently bail out once they are able to increase the share price of a company through financial engineering. This will ultimately hurt America’s competitiveness. Since 2010, the 1,900 companies that repurchased their shares allocated an average 113% of their capital spending to buybacks and dividends, compared to only 60% in 2000. Previously, these funds were spent on innovation, R&D, and marketing. Underneath the façade of inflated share prices are underinvested assets. Despite the significant media attention devoted to activists, their overall long-term financial impact remains unclear. An October 2015 review of activist investors by the Wall Street Journal concluded, “Activism often improves a company’s operational results—and nearly as often doesn’t.” That’s based on short-term measures, not the ability of the company to compete through 10 to 20-year business cycles and emerge on top. Trust is the foundation of American capitalism. Unfortunately, many activist investors have damaged that faith. The staying power of activists will depend on whether they are able to regain our confidence through sustained financial performance, heightened innovation, and greater long-term investments, not just immediate gains. Bill George is Senior Fellow at Harvard Business School, former Chairman & CEO of Medtronic, and author of Discover Your True North. This article was originally published 02/18/16 on Fortune.com. COPYRIGHT ©2015 Bill George. ALL RIGHTS RESERVED.